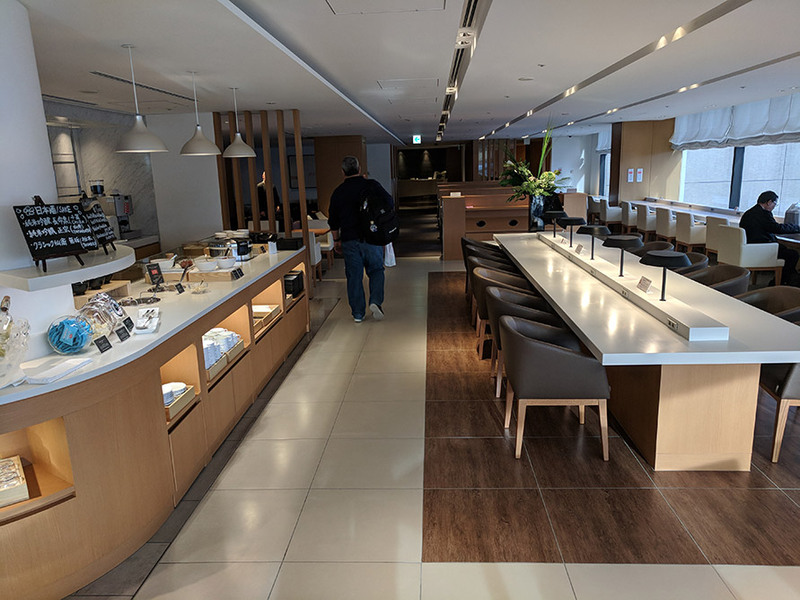 The Japan Airlines lounge was pretty nice. Initially almost nobody was in there, although it got much busier later. 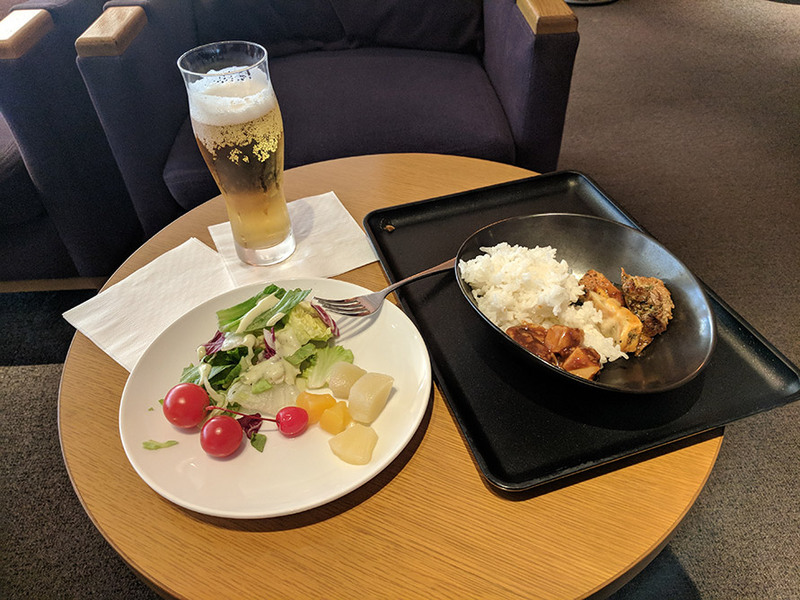 Food was aight for for munching on, although these days, I think that flagship domestic AA lounge is much nicer. Good job to a US airline for stepping up! Has me curious what United’s look like now too. They had a line for each class and boarding was pretty orderly. 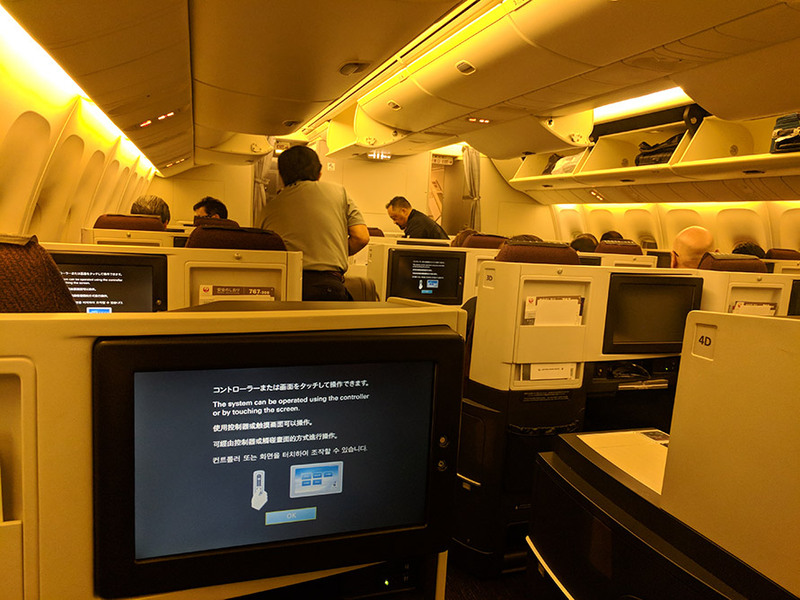 The seats and screens on this bird looked nice, although the seats were definitely not 180 degree lie flat, they were angled, can’t say to what pitch. 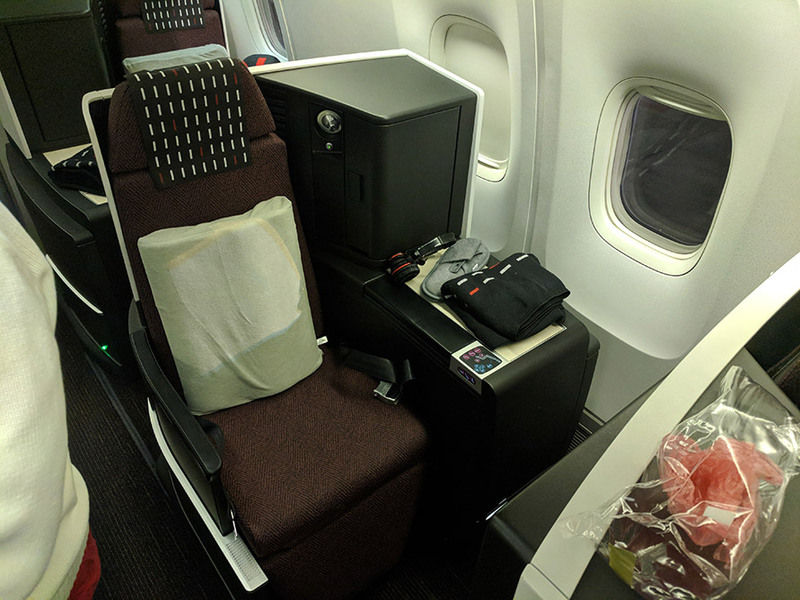 Not much room for storage, just that black bin to the left of my seat there, the same spot where the headphones were plugged in. 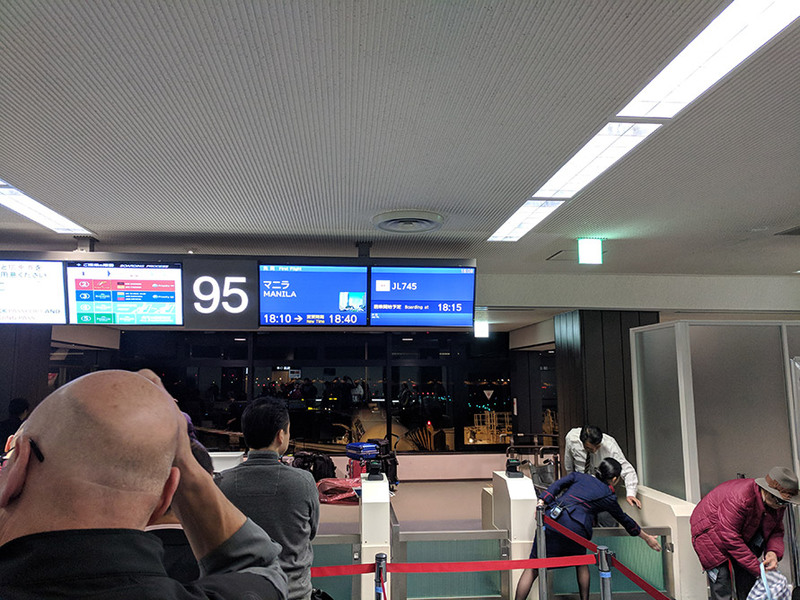 This was more than the last JAL flight however, which had virtually none. 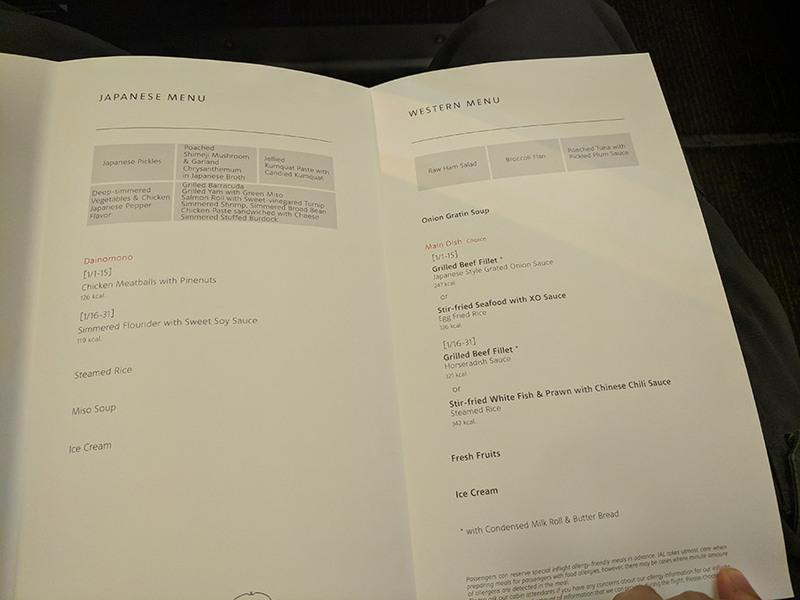 The menu, although I mostly slept on this flight, and got my meal close to landing. They were out of beef, which I would have gone for. I figured I’d try the Japanese offer. 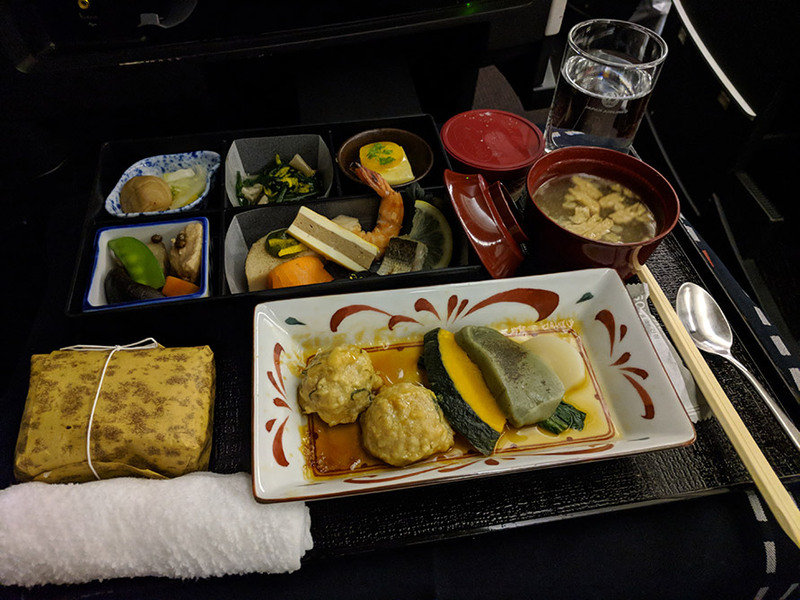 I liked the miso soup a lot more than the prior flight, tastier and saltier. I’m not very good with chopsticks, so I had a fun time with that. The food looks cool with so many different little things on the plate, although as far as taste, I didn’t get too excited over any of them myself. Can’t say I frequent Japanese cuisine like this much either, I guess I’d say to keep in mind. Amusing caloric difference on the menu! 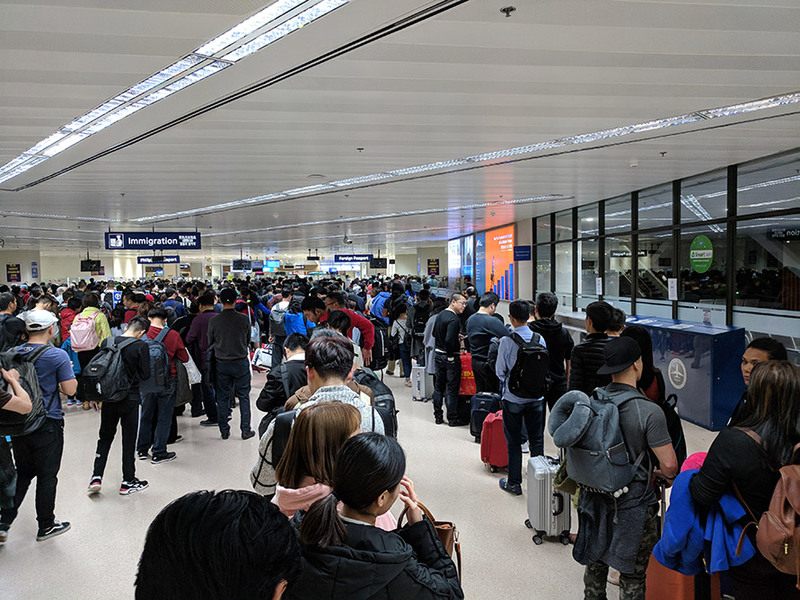 Although I was one of the first to get there, this was the situation at the immigration stations – it was near midnight, apparently an Air Asia (at least) flight just landed right before us and deplaned. I forgot how long it took to work through here, a good half hour, at least.